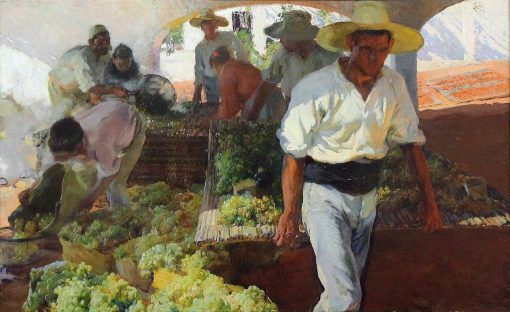 Reproduction of Transporting the grape, Jávea, also known as Preparation of the raisin, a work that Sorolla painted in 1900. The cudro represents the moment when the grapes are cooked. The original measures 125 x 200 cm.